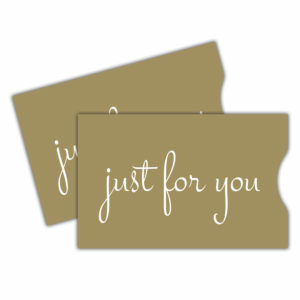 Translucent thumb cut sleeves are a wonderful, delicate way to present a gift card. 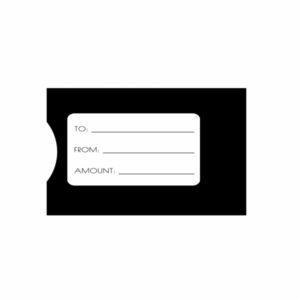 Whichever gift card design you choose, the receiver will see a frosted version. Easily fits one gift card. These gift card sleeves have a delicate, beautiful look. 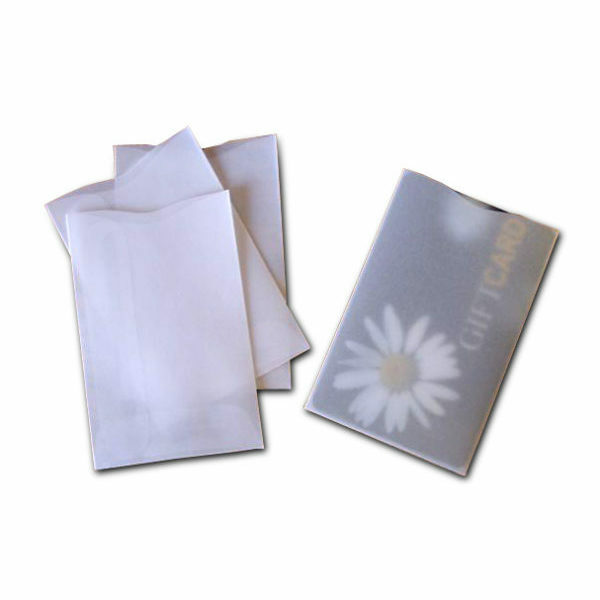 Translucent thumb cut sleeves are a wonderful, delicate way to present a gift card. 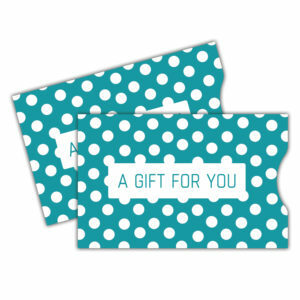 Whichever gift card design you choose, the receiver will see a frosted version. Easily fits one gift card. Whether you’re a team manager and gives out gift cards regularly, or if you’re starting a gift card program at your store, these translucent gift card sleeves are a great choice. The soft look is perfect for a variety of occasions. There is a slight curve at the opening to easily put the card in and take it out. The vertical style is casual and simple. Comes in packages of 100.